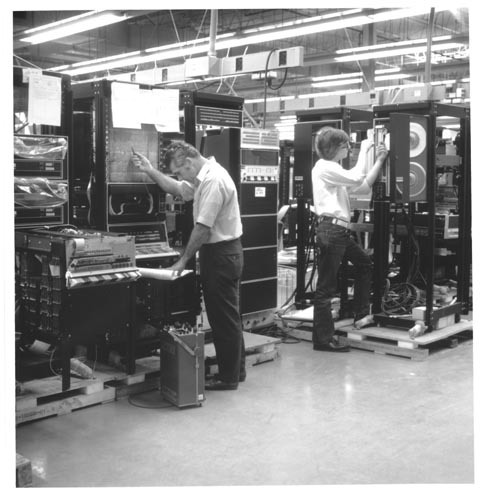 Black and white image of two men working on the Digital production line. One is at the console and the other is working on a tape unit. The components are on wooden skids. This image is used as introduction to Part II Managing Growth in the book.